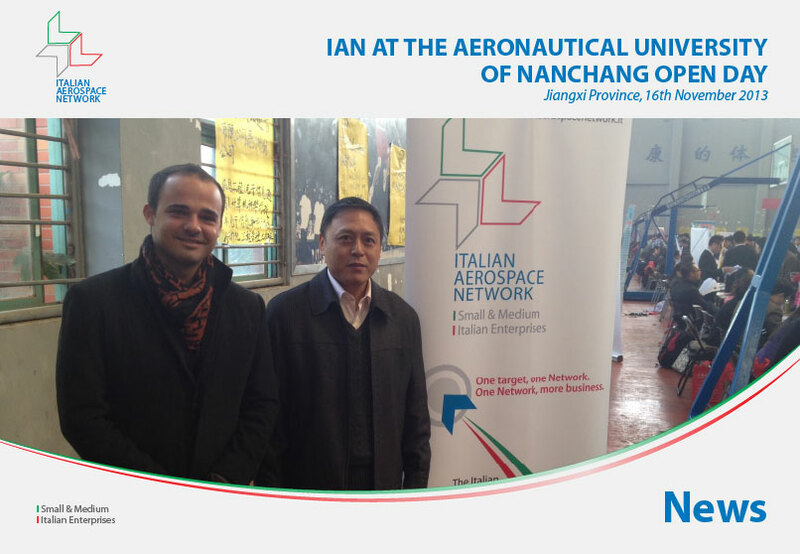 On November 16th 2013, the Italian Aerospace Network was invited to take part in one of the most important events in China for recruiting newly graduated aviation engineers. The Aeronautical University of Nanchang is considered to be one of the top 3 aeronautical universities alongside Beijing and Xi’an Aeronautical University. Every year, Nanchang University trains about 50.000 graduates coming from every part of the country. There were some important names among the list of 170 participating companies, most of them under the name of AVIC. The Italian Aerospace Network was the one and only foreign presence in the Event. Many graduates showed great interest in working for Italian companies. The list of curricula is available to members of the Network on the IAN website.